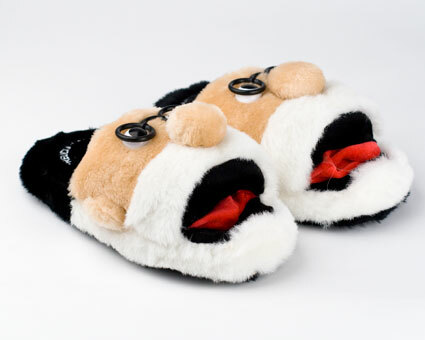 Put your feet in therapy with these hilarious Freudian Slippers. The cushy one inch thick non-skid rubber sole and fuzzy Freud face will keep your feet nice and toasty when hanging out around the house or for quick trips outside. Even better, the smart, bookish design allows your toes to slip into Sigmund's tongue; wiggle them at others (or yourself) for comedic effect. 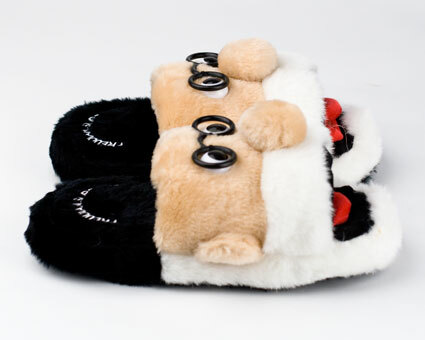 Available in three sizes, the Freudian Slippers will put every foot at ease, even your mother's. 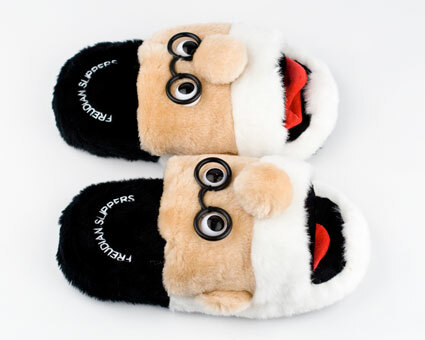 These slippers are so adorable & absolutely hilarious! I love mine & will order another pair ASAP. Advantages: I love them; very comfy and made to high quality. Advantages: I can lay on my own couch and look at my feet ... and what do I see .... Dr. Feurd just quietly waiting for me to share a dream or whatever is on my mind. I love, it is free, and I have received any bad advice yet! 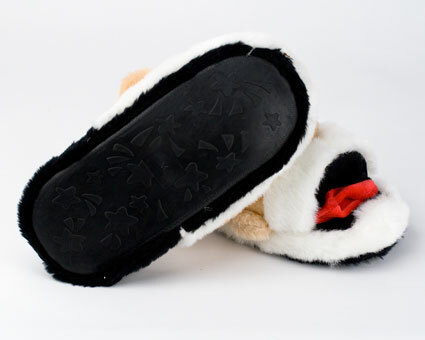 These slippers are awesome! They are fun and comfy and really well made! 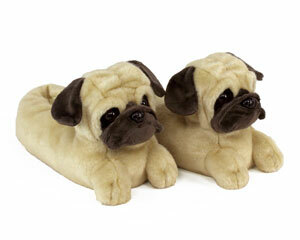 These slippers are wonderful. I ordered them for one of my friends for her birthday. I saw elsewhere in the comments that the sizes are a little small and to order up one size, which worked out perfectly. She wears a size 8 usually and I ordered the next size up and they are the correct size. Your toes go into Freud's "tongue" so when you wiggle your toes his tongue moves. Very amusing to watch and is certainly a feature my friend enjoyed. Advantages: 1) Toes go in the movable tongue, very amusing to see move around. 2) Rubber sole so can theoretically be worn outside. Disadvantages: 1) Sizing chart is on the small side, easy to fix by ordering one size up. 2) Edges near the ground are white, so they get dirty easily. Thank you for making slippers as original, beautiful and comfortable. In addition, I thank you that you have complied with the submission period. I hope that you continue innovating and making different products because they are great. A hug. Fabulous gift! The recipient was very pleased! Thank you! 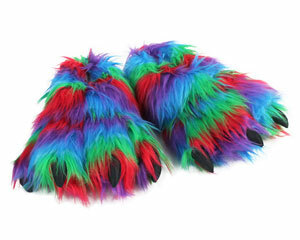 These are the funniest slippers ever. Freudian slip-pers, get it? Advantages: The tongue is like a sock for your toes, when you wear them you can wiggle and move his tongue! Disadvantages: Check size. I am a women's size 9.5. I got a medium women's 9-11 and they barely fit me. If you are women's size 10 and up, go for a large. The slipper fits but the tongue part prevents your foot from sliding all the way into the slipper. I hope it will stretch over time.